Wendy is one talented lady who checks and double checks all of the crochet patterns that I release at Too Cute Crochet. If it were not for her, I would not know if my crochet patterns worked out so well for everyone. And that knowledge is one of the most valuable contributions to my pattern business. It is fun to think that Wendy is now creating her own crochet patterns! Didn’t she do a great job on this pattern? If you have any questions, let me know and I will send them to her. Enjoy! I will also be permanently posting this pattern at my free pattern site, Cute Crochet Chat Patterns. Row 1: Ch 25 (29, 33); sc in 2nd ch from and hook and each ch across, ch 1, turn. (24, 28, 32). Row 4: Repeat Row 3 until piece measures 3 ½ (5 ½, 7 ½ ) inches long. Rnd 1: Working in ends of rows, sc, dc, sc in first end of stitch, *sk next 2 ends of stitches, (sc, dc, sc) in next end of stitch, repeat from * across; working around wrist warmer, sc in each sc (24, 28, 32), sc in ends of rows, sc in ea sc across (24, 28, 32). Fasten off. Matching stitches, fold piece in half lengthwise; with tapestry needle and matching yarn, sew first 7 (9, 11) stitches together, fasten off. Skipping next 4 (5, 6) stitches for thumb opening, sew next 13 (14, 15) stitches together. I have been working on a couple of new Spring designs and I finally got them uploaded to my Etsy shop! Both designs come in multiple sizes, Newborn, 3-6 months, 6-12 months, 1-2 years, and 4-10 years. These are great for beginner crocheters! If you can crochet in-the-round, you can make these hats! Great for BEGINNERS! This Newboy Cap works up quickly with worsted weight yarn and a large hook. 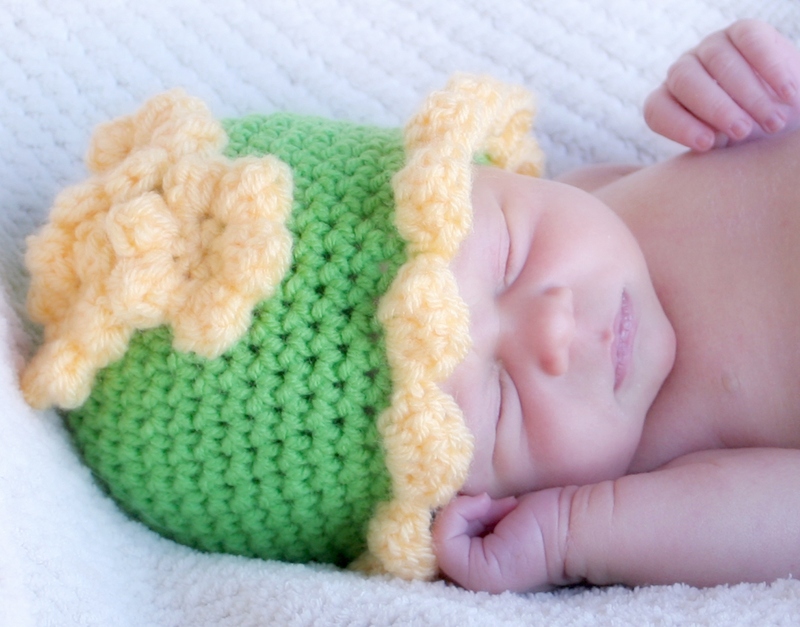 Fun to crochet and easy to embellish, it comes in a great size range to fit Baby to Preteen! Photo tutorial included for working on opposite side of starting chain. Perfect for the Springtime chill, this adorable petal hat gets it’s name from the flower petals that make up the trim. Crochet as many or as few flowers as desired to adorn this hat! Putting buttons in the center of the flowers are optional. This hat would love GREAT in cotton yarn as well. Great for beginners, if you can crochet in-the-round, you can make this hat! Katelyn of Pennsylvania and Dana of Colorado are our two winners today of Urban Edge! Congratulations to both of you! Thanks to Leisure Arts for providing these books! Have I got a treat for you! 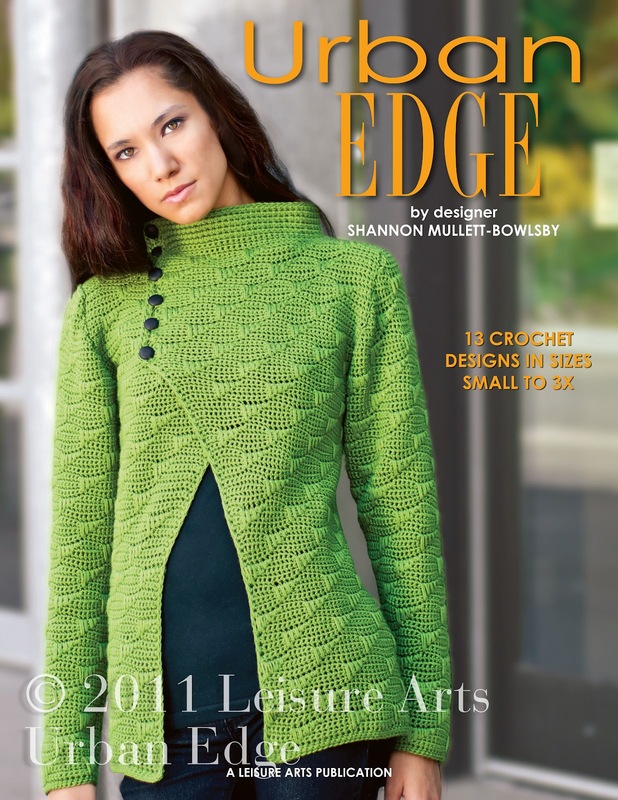 I am tickled pink to be able to review a brand new crochet book, “Urban Edge” with designs by Shannon Mullett-Bowlsby of Shibaguyz Designz and published by Leisure Arts. The book is chock full of some really beautiful silhouettes in crochet, not seen anywhere else. 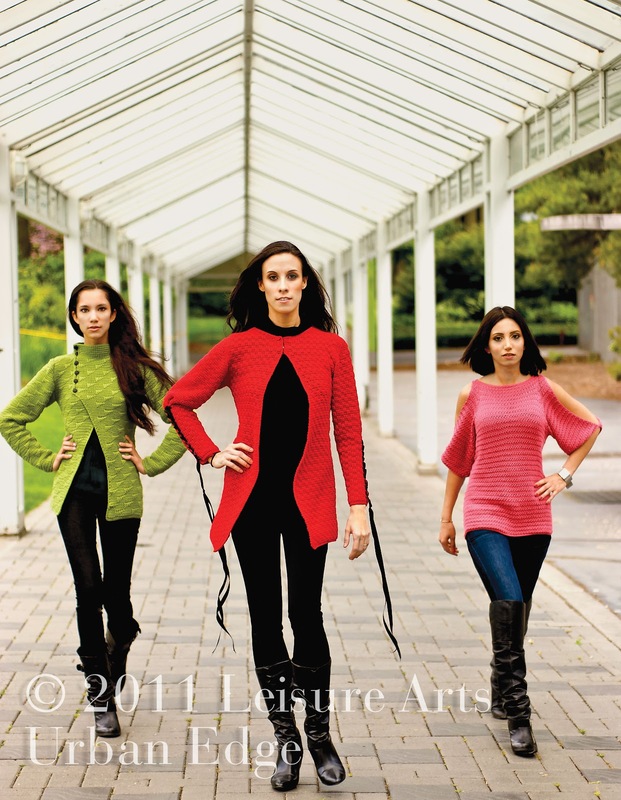 Rarely have I seen a crochet wearables book that delivers so many wonderful contemporary designs. Shannon has outdone himself! The silhouettes all have clean lines and are beautifully fitted garments that are sized from Small to 3X. The book has thirteen (13) consistently good contemporary designs. 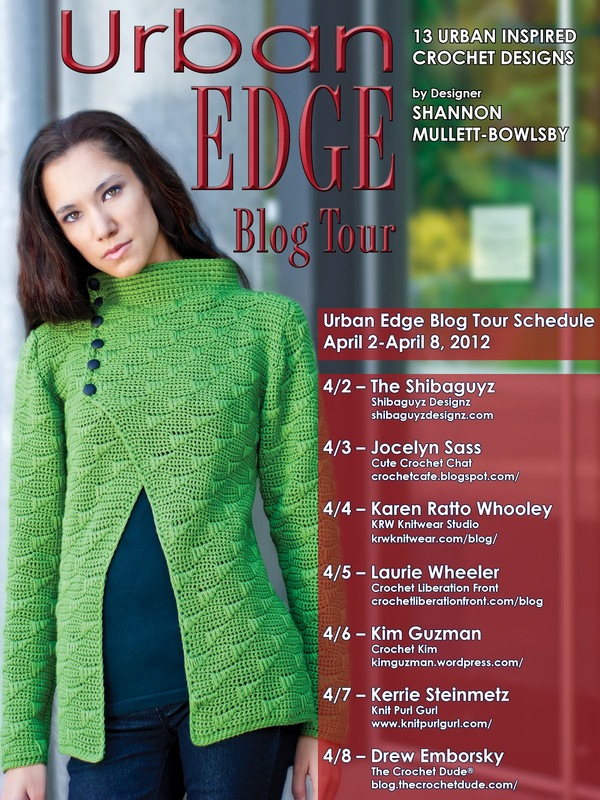 The title “Urban Edge” says it all. Designs are contemporary, edgy and look oh-so-fun to crochet and wear! The schematics and stitch symbol charts are large and easy to read. I love the variety of yarns, especially because all of them are readily available. All the designs are named for great international cities. I am in love with NYC dress, a gorgeous black and white fitted dress that any trendy woman would want! Included in the book are some of Shannon’s own personal tutorials for foundation and finishing techniques. What a bonus! 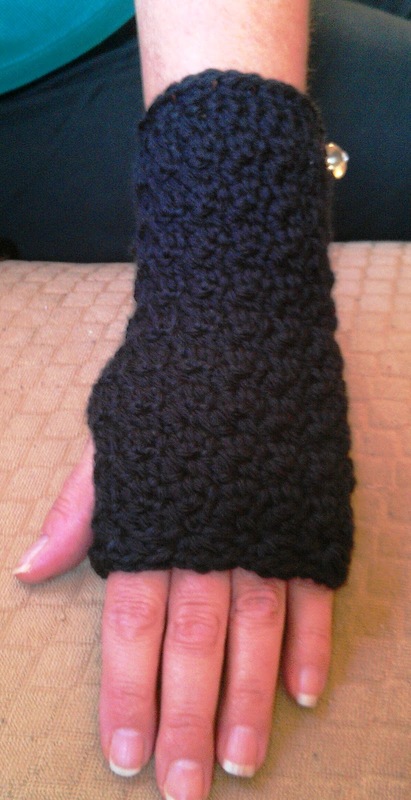 These tutorials are from Shannon’s own crochet class, “Fab Foundation and Finishing Class”. 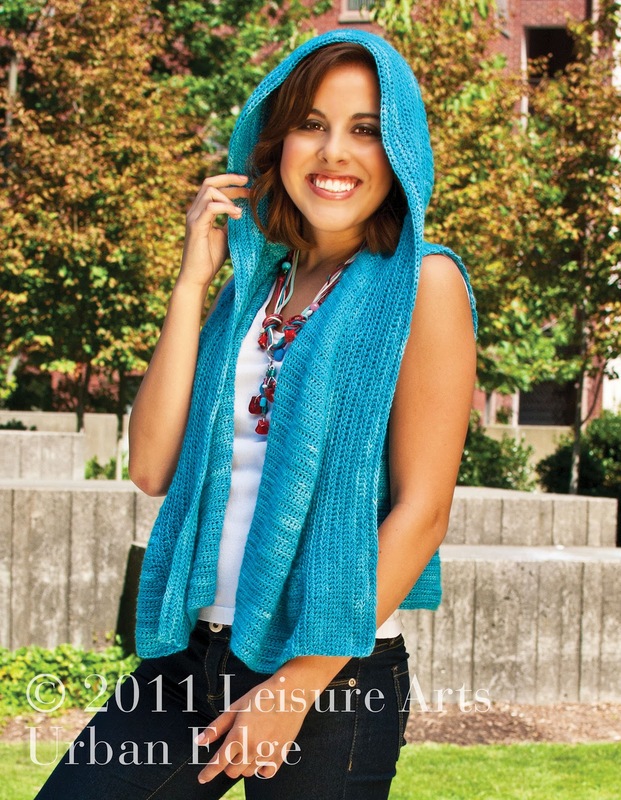 Besides the NYC dress, some of my favorites include Rio de Janeiro Sleeveless Hoodie made with Malabrigo Silky Merino. Los Angeles, crocheted in Spike Stitch pattern in Classic Elite Wool Bam Boo. (center). Want to learn more about this fabulous book? Hop on over to the Shibaguyz blog to read all about how this book came about! And don’t forget to visit all the other fine folks on this Blog Tour. The schedule is posted below. “Urban Edge” is available in softcover through Leisure Arts and also available for digital download. Photos of all the designs can be seen there as well! Leisure Arts has graciously provided a review copy AND a giveaway copy to one our LUCKY readers! Anyone who crochets would want a copy of this great book! In order to be eligible for our random drawing, you MUST be a MEMBER or FOLLOWER of this blog. You can join in the left sidebar if you are not already a member. Then comment below and let us all know what was your first wearable item that you crocheted. Please don’t forget to include an EMAIL address or a link to where you can be reached in case you are the winner! Drawing will be held on Wednesday, April 11, 2012.